Not at all! For me these genre divisions do not exist. The laws of literary creation are unique; they don’t change, and they are the same for everyone everywhere. I mean that you can tell a story that covers three hours of human life or three centuries—it comes to the same thing. Each writer who creates something authentic in a natural way, instinctively also creates the technique that suits him. So all forms or genres are natural. Listen, I think that in the history of literature there has been only one decisive change: the passage from orality to writing. For a long time literature was only spoken, and then suddenly with the Babylonians and the Greeks came writing. That changed everything, because before when the poet recited or sang his poem and could change it at every performance as he pleased, he was free. By the same token he was ephemeral, as his poem changed in oral transmission from one generation to the next. Once written, the text becomes fixed. The author gains something by being read, but he also loses something—freedom. That is the great change in the history of literature. Little developments such as division in chapters and paragraphs, punctuation, are relatively insignificant; they are details. For example, they say that contemporary literature is very dynamic because it is influenced by the cinema, the television, the speed of communication. But the opposite is true! If you compare the texts of the Greek antiquity with today’s literature, you’ll notice that the classics operated in a far larger terrain, painted on a much broader canvas, and had an infinitely greater dimension—a character moves between sky and earth, from a god to a mortal, and back again, in no time at all! The speed of action, the cosmic vision in a page and a half of the second book of the Iliad is impossible to find in a modern author. The story is simple: Agamemnon has done something that has displeased Zeus, who decides to punish him. He calls a messenger and tells him to fly to earth, find the Greek general called Agamemnon, and put a false dream into his head. The messenger arrives in Troy, finds Agamemnon asleep, pours a false dream into his head like a liquid, and goes back to Zeus. In the morning Agamemnon calls his officers and tells them that he has had a beautiful dream and that they should attack the Trojans. He suffers a crushing defeat. All that in a page and a half! One passes from Zeus’s brain to Agamemnon’s, from the sky to earth. Which writer today could invent that? Ballistic missiles are not as fast! This entry was posted in Ismail Kadaré by Anthony. Bookmark the permalink. Thank you for that suggestion, which I shall gladly accept. “Chronicle in Stone” and “The Palace of Dreams”, I dare say. And thank you for your blog, is absolutely wonderful in every corner. What a wonderful thing to say, Monica. Thank you so much for your generous comment, and the Kadaré suggestions. Never give up sharing your wisdom, please. Here’s a list of his most important works. Check out his early poetry as well. 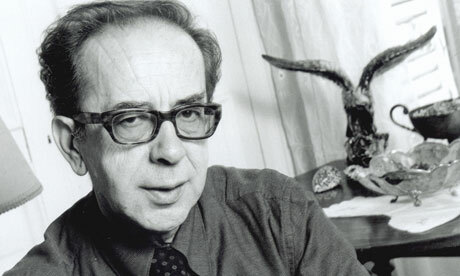 His first novel, The General of the Dead Army, sprang from a short story, and its success established his name in Albania and enabled Kadare to become a full-time writer. Kadare’s novels draw on Balkan history and legends. They are obliquely ironic as a result of trying to withstand political scrutiny. Among his best known books are Chronicle in Stone (1977), Broken April (1978), and The Concert (1988), considered the best novel of the year 1991 by the French literary magazine Lire. Thanks, Jim, for your comments. Your last point about dictatorship and writers is particularly intriguing. I have often wondered if the converse is true. Compare literary brilliance in Russia of the nineteenth and early twentieth century to America in the same period. The early writers in that time period were more concerned with moving west into the expansive area. Regarding Russia, literary works were in flower then. Lenin and then Stalin cut their tongues out! We keep on yaking and writing through it all. Coincidentally the only Kadaré I’ve ever read is a novel on just the theme discussed in this quote: The File on H., a witty and allusive comedy about two Irish-American Homeric scholars traveling to Albania to understand better the oral epic tradition. It mixes farce with a serious meditation on the disappearance of culture and the literary tradition (it seems clear that Kadaré had Kafka and Joyce in mind, as he mentions them in the interview) and made me want to read more. Thanks, John, that sounds like the perfect place to start an exploration of Kadaré’s work. I will recommend you “Chronicles in Stone” It seems to me to be in the tradition of central-European narrative, very close to Imre Kertesz. Thank you, I’ll check that one out. I’ve read several. The two I’d recommend, both already mentioned above, are The File on H which deals expressly with the move from the Homeric/oral tradition which he discusses in that Paris Review piece, it’s the book where he grapples precisely with those issues, and Broken April which is as good a meditation on revenge and mortality as any I’ve read. Thanks, Max, I tracked down a copy of The File on H at Foyles at lunchtime, so look forward to trying Kadaré soon. I’m popping there briefly after work today, as it looks like I’ll get an early finish. In Parenthesis is back in print and they have a copy. I really enjoyed The Palace of Dreams and have The Concert warming up to be read this summer. I’m going to take the recommendations above to the bookstore with me next time I go as well. Thanks for asking the question in your post and to all for the answers. My pleasure as always, NellaLou. Thank you for the ones you mentioned. I’ll look into them if I get on well with The File on H.
I lived in Tirana from 2004 to 2007 and I saw him almost on a daily basis on the street or in a coffee shop near my home. He is dividing his time now between Paris and Tirana as far as I know. I still haven’t made it to Kadaré’s work, but hope to one day. Thanks for linking to your review. It is rare that I enjoy historical fiction, so I’d probably start with another of his novels.